This entry was posted on April 27, 2013 by Robyn Lee. It was filed under Nature, Romance, Spiritual, Spring 2013 and was tagged with divinity, enchantment, fantasy, feminine, light, Love, lunar, masculiine, moon, mystery, observer, photograpy, poetry, Robyn Lee, Romance, seduction, spirit, Window. Splendido e di grande profondità di cuore!!! ps: Carl Jung is your Gravitar 🙂 ! As each night does the sanguine moon reach gently by your side to the hand of true love, and as the day breaks and feathers float away to greet the day does he hold strong in his heart that the morows night will fall once again to guild him home. I thank you dear friend. Aww – thank you Alastair – you spoil me! Delightful words and well set in verse (to match your photo). So beautiful Robyn and the subtext is painfully clear. “I know now I can fly” !!!!!!!!!!! And you have with this, Robyn. After reading it I could close my eyes and feel it, even without the picture as a visual. This is a marvelous piece of writing. Wonderful ! (I like cookies & tea). You have been nominated for a Liebster Award. Congratulations. SO beautiful and haunting 🙂 The words and the picture! Great job! Very calming presence in this poem and like the photo. you are very good at taking what comes your way and “flying ” with it. You go, girl! Thank you dear one, so happy you enjoyed it 🙂 ! I couldn’t help but feeling the soft breeze of a warm night, the clear starry sky and the feeling of a safe haven – all through your beautifully woven tapestry of words! And your “sweet slumber” will surely be magical after this ethereal encounter. Could feel your passionate heart here Robyn. Enchanting, as always. 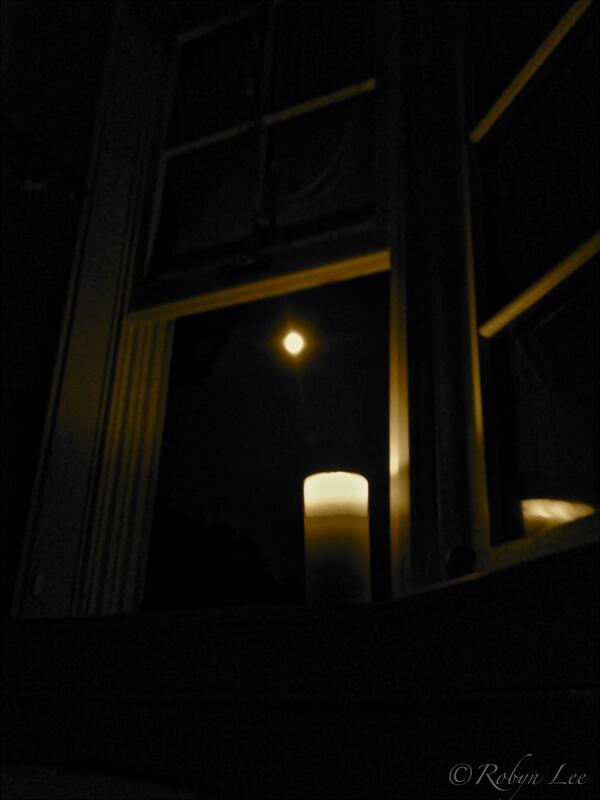 Your moonstruck – love the connection and moon relationship. Inanimate things can be friends and companions too. I find myself imagining the photo as I am reading your words. Many times you surprise me, which speaks to your creativity. This is so lovely Robyn. I am so very touched by your comment today. From you especially Tony, the highest compliment. Yes, I confess, I’m a seeker in many ways – and being open and honest is the only way I can navigate the world. Just feels better to me 🙂 Thank you for your wonderful words. Means a lot to me. The emotions are so rich. You drew me in gently and allowed me to stay and savor another place and time until I became tranquil one again. The photography always adds to your words, but the words alone drew me in to total submission before I saw the photography. Magnificant. . . . . mysterious beloved . . . ! Beautiful…!! Thank you kindly dear Kazi ~ Yes – the “mysterious beloved” 🙂 I am thrilled you enjoyed, and so appreciate your lovely comment today. Expression of something heartfelt always attracts me…!! sooner I have to return to your blog to read more and I know that…!! The softness of your words and their rhythm, and the message within makes it so very breathtaking…in a very beautiful and eloquent way! God bless Robyn…it is an awesome poem which so reflects your heart!!!! You fly me to the moon! I sort of thought, as I read … the moon…of course, but a tall dark handsome vampire with a luminous glow, loomed in the back of my head! And you have transported me there as well my most wonderful friend! We will have a picnic on the moon together some day!! If I could fly, I’d pick you up and take you into the night. There are absolutely no possible words to describe…..but then again, you already know what I am thinking. Such talent so beautifully expressed can only be felt, and deeply appreciated. Continue dear one, to create, ignite, and enchant us all! So very honored to call you friend. I expected this 😀 ha ha ha 😀 its a secret for sure!!! you’ve got a good eye Robyn! you are the only one i told too 🙂 shhhh! You made me smile Rahul ~ i love your enthusiasm. Thank you for your kind words and heartfelt encouragement. Blessings and Love dear one! Oh Wow, Robyn! This is wonderful! Thanks so much dear Fergi. I am flattered indeed 🙂 ! Love to you dear friend! Oh Robyn… I have held off commenting for some reason. The moon has always held a great deal of significance for me. When I was a boy I used to look up at it with wonder, and I asked my father where did the moon come from. He replied, “maybe it’s always been there”. My developing mind almost turned inside out with that one. I bought a telescope and would look at it and explore it’s craters, mountains and valleys, but always liked it best from afar. At the cabin, it would light the meadow so beautifully that I thought some mythic beauty would step from the forest edge and into it’s glow and sometimes, I believe it has, I just could never see it. It’s nice to know that when you are far from someone close and you both look into the night sky you can both be seeing the same wonder and beauty and feel love and connection. Love and Blessings to you always!